I am now more purposeful. I am raring to go. I am different. I am grateful. I am happy. 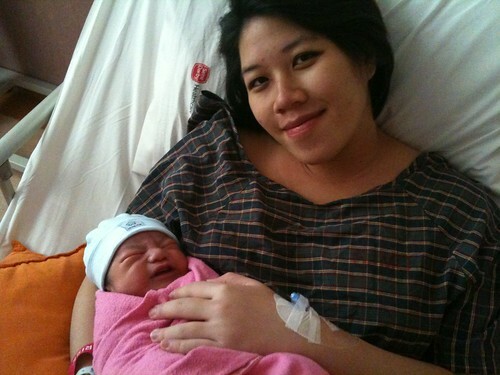 2010 will be best remembered for one thing, and that was little Zachary Wang Jia Le joining our family. In a blink of an eye, he’s already 9 months and weighing 9.8kg. He has brought so much joy to the family but phew, is he a handful! 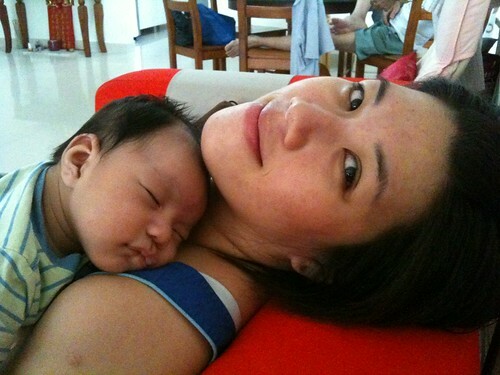 Zack’s arrival has totally changed the lives of myself and Pei Chyi. All of our decisions now are made with him in mind. The focus of our lives have changed away from ourselves to him. Zack has also brought me closer to the rest of my family. I now have a thousand more (Zack-related) topics to talk about with parents, in-laws, aunts, siblings, cousins, etc. I fall deeper in love with my wonderful wife each day, and I am blessed that she is by my side to raise Zack. I am also so very grateful that our values are aligned and she feels the same way I feel about our priorities. There were a few people who wondered if I’m just being a bum by ‘working from home’ and not having a real job. I put that down to them not understanding the type of work I do. Fortunately, business has been good. Buzzmedia had a comfortable increase in revenue over last year and the total worth of all projects in 2010 was close to six figures. I’ve also been lucky to work with lots of great people, including my business partners at Level5, designer extraordinaire Reese, and friends from the Third Tribe community. This past year I also realized that you can still get caught up in a hamster wheel even if you run your own business. Work is a means to an end, not an end in itself, but that’s how many people live their lives. They get up every morning and go to work. Their dreams, the things they’ve always wanted to do, the projects that will really define who they are, will get left by the side of the highway on their drive to work. In 2011 I’m changing my business model. I am transitioning to an internet business, influenced by the Third Tribe. If successful, it will separate my time from my income and may also result in even more people wondering if I’m just bumming around and wasting my time. Unfortunately the project that I had in mind last year (a Facebook marketing guide) never materialized. That’s ok, because my priorities have changed. But I’m disappointed that I wasn’t able to just make it happen. Turning ideas into reality will be a significant theme for me in 2011. As mentioned, turning ideas into reality will be a significant theme and this will be spearheaded by my new website The ClickStarter. I made the mistake of thinking and planning but never actually starting on my projects. The ClickStarter is my starting point for my 2011 plans. It’s a work in progress, but I wanted to go live with it to prevent myself from getting caught in the trap of trying to make it ‘perfect’. Ultimately I want to use it to hold myself accountable to my planned transition to an internet business and hopefully inspire a few people along the way. I had the fun opportunity to participate in a few of John Lim‘s podcasts, and even to be a regular host along with Niki Cheong and David Lian on the LOLshow, or Life Online Show. We’ve already got 11 episodes up and I’m looking forward to helping grow it in the coming year. Due to limited bandwidth and changing priorities, I am going to focus less on myMacBUZZ and have already handed day-to-day management to J.Shamsul. Because of Zack, traveling was difficult. We only managed to visit Singapore because of my cousin Marie’s wedding. With a baby in tow, we didn’t do anything tourist-y but it was an interesting experience because it was Zack’s first ride on a plane.. but he slept through most of it. Apple introduced the iPad in January this year. I was lucky enough to get a unit in June, before it was officially available in Malaysia. It was one of the best purchases of the year. It’s not a ‘computer’, it’s just a screen that shows me the web, books, movies, etc. The technology behind it is invisible and it’s steadily changing how I, and soon Zack, relate to technology. WordPress has been an important part of 2010 for me. In May I was lucky enough to be invited to speak at the inaugural WordCamp Malaysia. It was great experience for me and I would like to thank the organizers for making me a part of it. The Headway Premium WordPress theme has become my theme of choice because of it’s flexibility, powerful features and friendly community. I strongly encourage you to have a look at it’s features. Last month I bought a car. It’s the 1st car that I’ve ever bought straight from the showroom. All the cars I drove previously were 2nd hand cars, which felt like hand-me-downs. So far I’m really enjoying my Proton Persona. 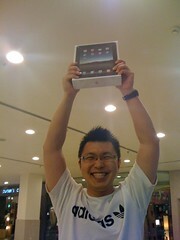 And that was my 2010 in review! I’m looking to 2011, my 30th birthday and all the opportunities and challenges that go with it. Happy new year! 3 Comments on "2010: Year In Review"
Here’s to a big 2011! WOW, that’s a lot of accomplishments and success stories! and greater year ahead, David. P/S: Your boy has got dimples! !